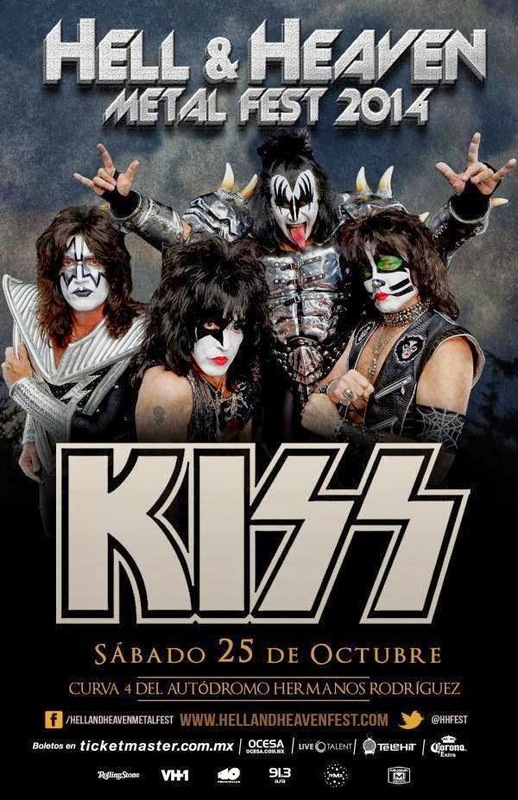 Here's audio of KISS at "Hell & Heaven Metal Fest 2014" in Mexico City on Saturday, October 25, 2014. 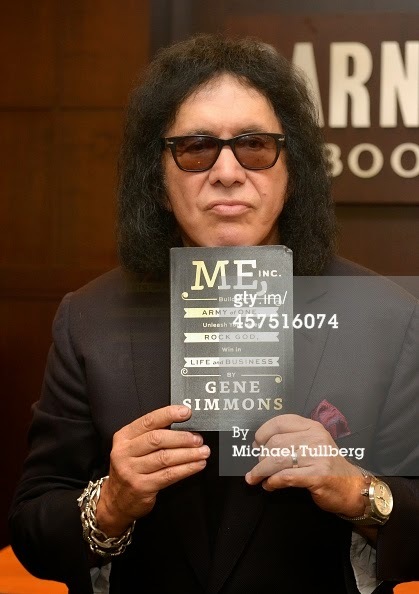 Video: Gene Simmons On "The Today Show"
Gene Simmons to women: ‘You are backbones of families’ The KISS star joins TODAY to talk about his new book, “Me, Inc.,” in which he offers advice on how to succeed in business. He also shares his views on women’s role in society. 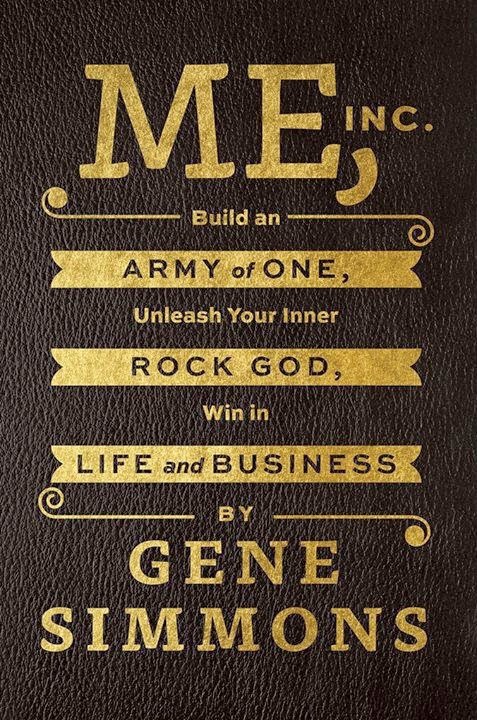 In honor of Gene's newest book "ME, Inc." here is a mashup of his best and often-used quotes from interviews over the past couple of years. 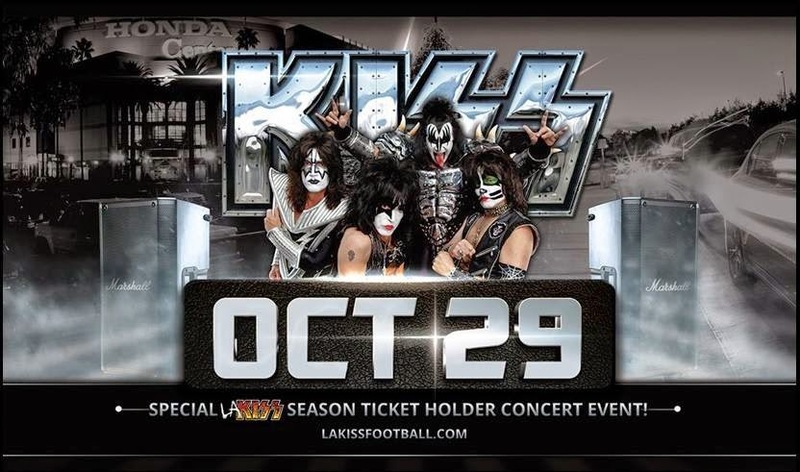 Thanks to John Andosca for sending this to KISSopolis. Today In KISStory - October 14, 1977: KISS release their second live album "ALIVE II". ALIVE II is the second live album (and eighth overall) by KISS, released in 1977. The band had released three albums (Destroyer, Rock and Roll Over, and Love Gun) since the previous live outing, the seminal 1975 release Alive!, and the band drew upon the variety of new tracks, with Eddie Kramer producing. Coming off of a period of extensive touring, Alive II received a huge fan response and critical acclaim, reaching the number seven spot on the Billboard 200 chart. Reviewer Greg Parto of All Music Guide praised the "adrenaline-charged" vibe of the heavy sounding tunes, particularly citing tracks such as "Detroit Rock City", "Shock Me", and "Shout It Out Loud". The origins of ALIVE II go back to early 1977 when the band's manager Bill Aucoin suggested that Kramer record a live album during the evening show at Budokan Hall in Tokyo, Japan on April 2, 1977. 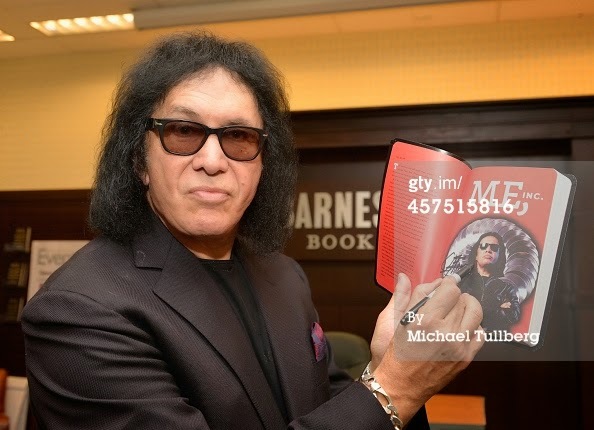 The plan was to release a live album to give KISS some much deserved time off before recording the album that would become Love Gun later that fall. Kramer finished work on the album, but Casablanca Records and Kiss deemed it unusable, and the band forged ahead with the Love Gun sessions. Most of the live tracks on ALIVE II were recorded during the band's August 26–28 shows at the Los Angeles Forum while on their Love Gun tour. The 3 p.m. soundchecks at the August 26 and 27 shows were recorded, and later used on the album (i.e. "Tomorrow and Tonight") with crowd noise being dubbed in later. "Beth" and "I Want You" were lifted from the aborted Japanese live album and used on the finished ALIVE II. 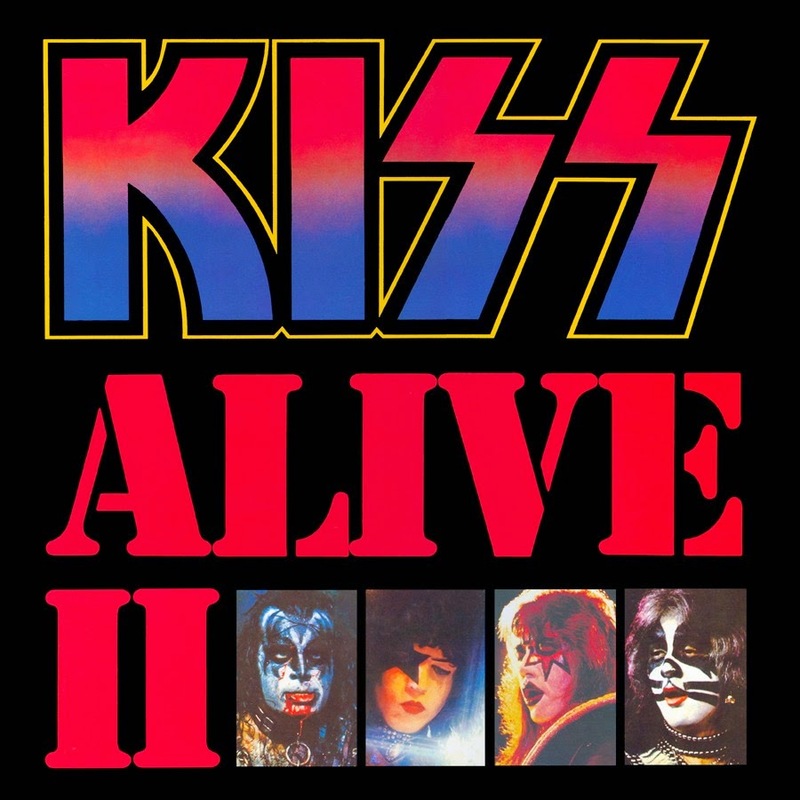 As the band did not want to duplicate songs included on Alive!, the songs chosen for the three live sides of the album were all drawn from Kiss' three preceding studio albums: Destroyer, Rock and Roll Over and Love Gun. On the original double album, the songs on side four (tracks 6-10 on the second CD) are studio tracks. Although Ace Frehley was originally credited for lead guitar on the studio tracks, the remastered version released in 1997 confirmed what had been speculated by Kiss fans for years: Bob Kulick actually played lead guitar on three tracks ("All American Man", "Rockin' in the U.S.A." and "Larger Than Life"), not Frehley. Frehley's sole involvement for the studio songs was "Rocket Ride" (originally written for a solo album), on which he sang lead vocals and played both guitar and bass guitar. Paul Stanley played all guitars on "Anyway You Want It", which was originally recorded by the Dave Clark Five in 1964. The legendary Rock ‘n’ Roll Fantasy Camp that has been making dreams come true in the U.S. for the past 18 years is now launching in Canada. 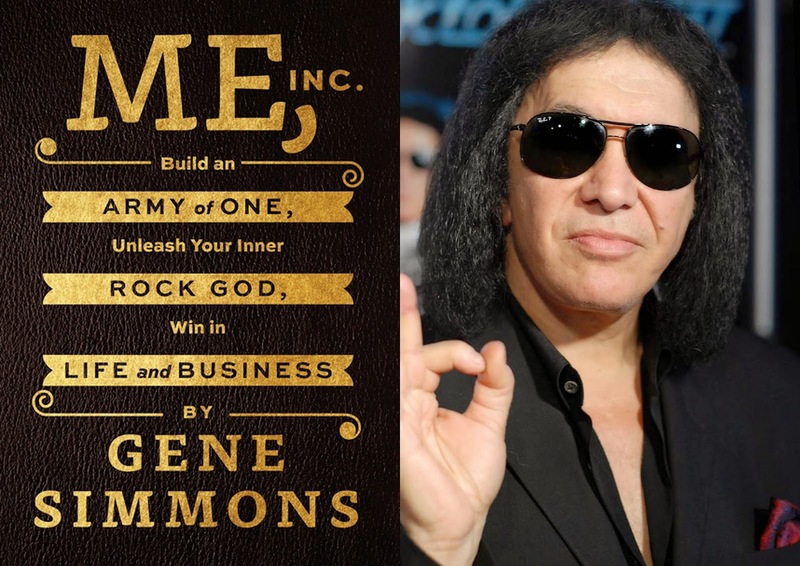 The first-ever Canadian camp will take place in Calgary, Alberta from January 8th-11th, 2015 and features the Rock Legend, singer-songwriter, businessman, arena football co-owner of the LA KISS and media icon – Gene Simmons. “Mentoring adult and young rockers at the fantasy camp has always been an amazingly rewarding experience for me,” said Simmons. “I enjoy teaching and handing over lessons I’ve learned from the business to musicians and upcoming talent”. George Lynch (Dokken, Lynch Mob, Souls of We) and Leland Sklar (who has contributed to over 2,000 albums) will also be joining Simmons as Rock Star Guests of the first Rock ‘n’ Roll Fantasy Camp in Canada. Additional Rock Star Counsellors include: Lita Ford (The Runaways), Vinny Appice (Black Sabbath, DIO, Rick Derringer, John Lennon), Rudy Sarzo (Ozzy Osbourne, Quiet Riot, Queensryche), Teddy Andreadis (Carole King, Guns N Roses, Alice Cooper, BB King, Michael Jackson), Nick Catanese (Black Label Society), and four members of the Canadian Rock group Loverboy – Paul Dean, Matt Frenette, Doug Johnson, Ken “Spider” Sinnaeve. Over the four days, attendees fulfill their Rock dreams and jam with their idols! The Rock Star Counsellors mentor the Rock enthusiasts to improve and perfect their instrument skills, vocals and Rock ‘n’ Roll stage presence. The Rock Campers – with guidance from the counsellors – write, record and rehearse an original song (and so much more) at Heritage Hall, Southern Alberta Institute of Technology. Final performances to a live audience take place at the exceptional ‘House of Rock’ located in downtown Calgary at the Fairmont Palliser. Rock ‘n’ Roll Fantasy Camp will continue to exceed all expectations! And with Rock Legend headliners like: Jeff Beck, Brian Wilson (Beach Boys), Roger Daltrey (The Who), Warren Haynes (Allman Brothers, Gov’t Mule), Dave Davies (The Kinks), Bill Wyman (The Rolling Stones), Slash, Bret Michaels (Poison), Cheap Trick, Dr. John, George Thorogood, Jack Bruce (Cream), Joe Satriani, Joe Walsh, Meatloaf, Vince Neil (Motley Crue), Duff McKagan, (Guns N’ Roses, Velvet Revolver), Michael Anthony (Van Halen), Def Leppard, Alice Cooper, Sammy Hagar and of course Gene Simmons – how could it not? This clip is backstage, the very last time Gene Simmons, Ace Frehley, Peter Criss and Paul Stanley huddle before taking the stage. This was filmed at the last show of the 'Farewell Tour' in the US on October 7, 2000 in Charleston, SC. 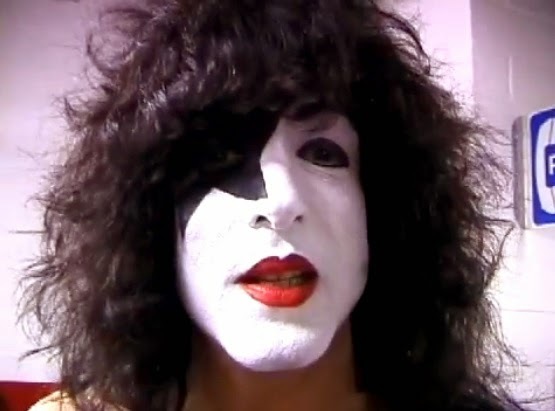 Video: Paul Stanley Speaks Backstage In Charleston, SC On KISS "Farewell Tour"
This clip is backstage, the very last time Gene Simmons, Ace Frehley, Peter Criss and Paul Stanley performed together. This was filmed at the last show of the 'Farewell Tour' in the US on October 7, 2000 in Charleston, SC. Today In KISStory - October 6, 2009: KISS release their 19th studio album "Sonic Boom". "Sonic Boom" was recorded at Conway Recording Studios in Hollywood, CA and produced by the band's co-leader Paul Stanley and co-produced by Greg Collins. 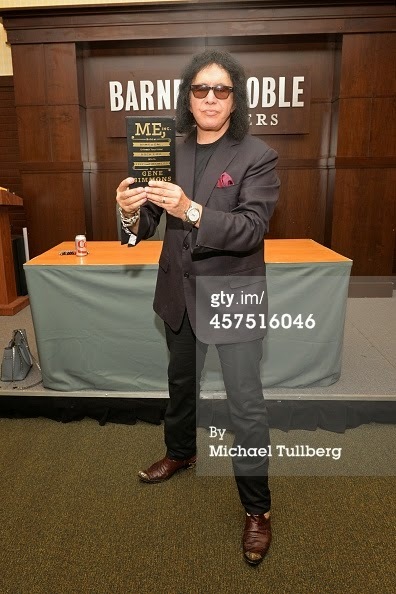 The album was the first studio album to be released under the current line-up consisting of Paul Stanley, Gene Simmons, newest lead guitarist Tommy Thayer and Eric Singer back on drums. Stanley stated, "the purpose of this album isn't to let people know that we're still around – it's to let people know we can still knock out anybody who's out there!". A fan routed North American tour promoted the album along with international shows throughout 2010, which included the band headlining the Rock am Ring festival in Germany. 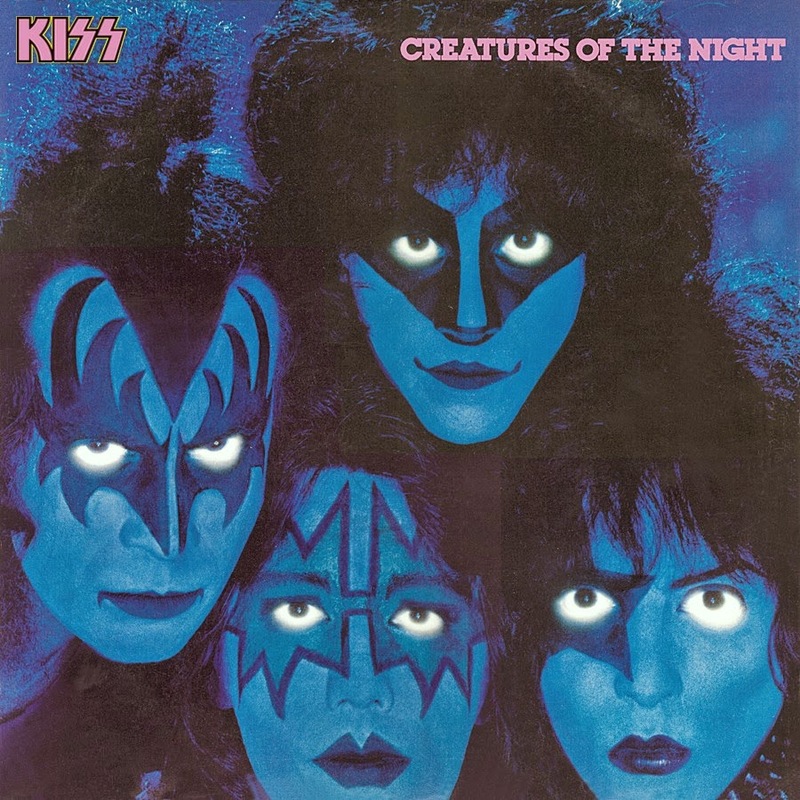 The cover artwork was created by artist Michael Doret who has worked with Kiss previously to create the cover of their 1976 album Rock and Roll Over. The album was sold as a digipak including a 20 page booklet. The album's first single was announced on the band's official website to be "Modern Day Delilah". The album was also released on limited edition 180 gram vinyl and was pressed into five colors (red, green, black, blue and purple) with 1000 copies pressed of each. "Modern Day Delilah" was announced and released as the lead single from Sonic Boom on August 19, 2009 to radio. It was KISS' first single release in 11 years, the last being "You Wanted the Best" released in 1998. The music video for "Modern Day Delilah" leaked online on the first days of December and was officially released on December 9, 2009 and premiered on Yahoo!. The video is topped and tailed by footage of giant sized members of Kiss walking through Detroit. The video went on to top UK music video channel Scuzz's "Most Rockin: Viewer Request Show" chart on December 3, 2009. The single was released as downloadable content for Guitar Hero 5 and Band Hero on November 19, 2009 along with the singles "I Was Made for Lovin' You" and "Lick It Up". Modern Day Delilah peaked at #50 on the Billboard Rock songs chart. The song was used for their opening song for the Sonic Boom Over Europe Tour and The Hottest Show on Earth Tour. "Say Yeah" was added to the shows on the Sonic Boom Tour/Alive 35 North American Tour 2009. Later on, it was mentioned during Kiss' Facebook concert broadcast that "Say Yeah" was going to be the next single off Sonic Boom. On December 5, it was announced that the single would be released to radios on December 8. The single was released on the second week of January 2010 in Argentina. "Say Yeah" also hit #1 on February 5, 2010 on a Russian Radio Chart after debuting at #11. 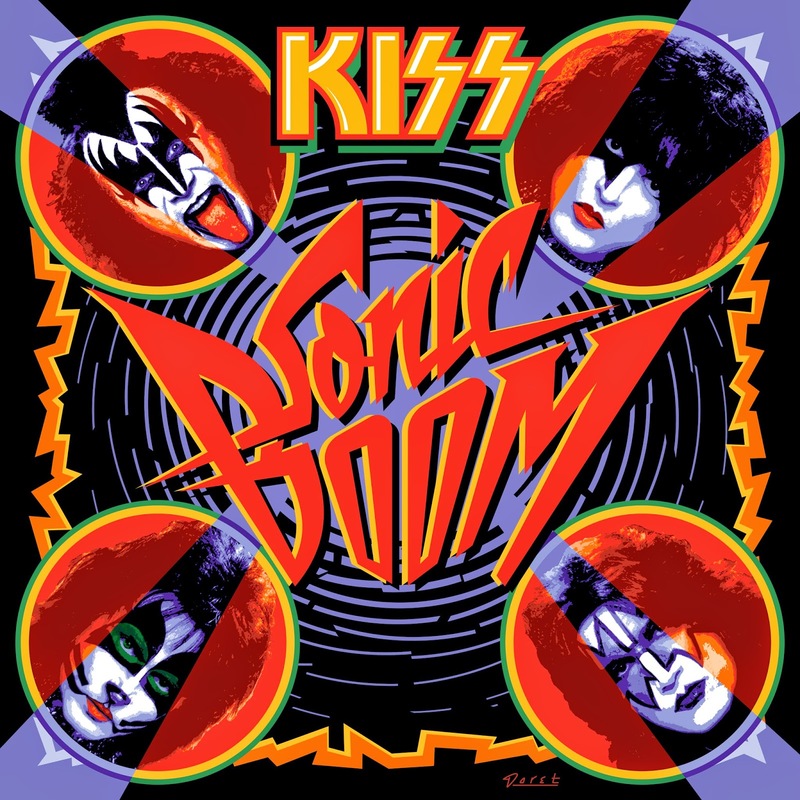 "Never Enough" was released as the next radio single from Sonic Boom in early June 2010 and was mentioned on KISSonline.com. The song was not incorporated into the band's setlist on its 2010 Summer Tour of the US and Canada. The album received mixed reviews by critics. Sonic Boom debuted at #2 on the Billboard 200, selling 108,000 copies in its first week of release. The #2 position was the highest mark ever reached by the group, beating the #3 debut of Psycho Circus' in 1998. The album finished 2009 with 238,000 units sold. The album finished 2010 as one of Billboard's Top 50 Rock Albums. Metal Hammer listed the album on 13th place on the list Metal Hammer Albums of 2009 list. Sonic Boom went gold in Norway.